Inicio Control Your Stress & Manage Your Time! An innovative, unique approach to the nature of stress and the concept of time, enriched with easy to apply techniques aimed to help the reader successfully control stress and effectively manage time. This is a fresh innovative diversion from traditional ‘how-to-do it’ books dealing with stress and time. Aimed at today’s professionals, as well as students and members of the general public, overburdened by stress and anxiety and failing to master their time schedules. The book offers a novel, scientifically supported, and unique approach in helping the readers fully understand the nature of stress and anxiety and the concept of time. 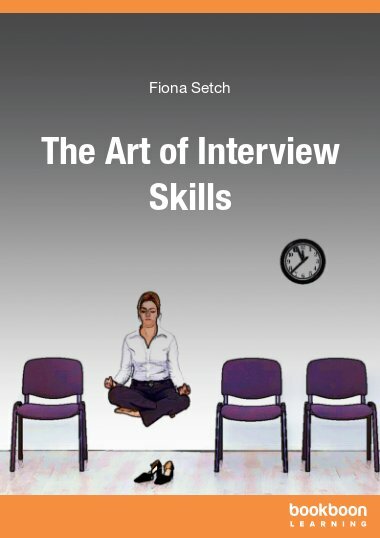 In its practical contribution the book provides a variety of easy to learn and to apply techniques aimed to help the readers’ ability to successfully control their stress and effectively manage their time. Basically an enjoyable, ‘must’ download and read book. Professor Piperopoulos has made things simple and easy to understand in this eye-opening little book. Beyond his expertise on these topics the author shows an admirable qualification in making difficult concepts easily understood. Very well done! An impressive little book , creatively written and aiming at those of us who ate loosing control of our stress levels. The second part dealing with the issue of TIME is equally helpful and commendable as an essay in creative writing. Worthwhile reading! The catchy title is scientifically and convincingly justified in the 65 pages of this very useful little book. In a world filled with moans and groans of many stress subdued working men and women and others gasping for time Professor Piperopoulos offers a very useful booklet dealing with stress and time problems. Strategically when you know and understand your adversary you can be successful in defending yourself! This little book will thoroughly familiarize you with stress and teach you to manage your time so you can successfully control your stress and gain some free time to enjoy life. Well done. Professor Piperopoulos knows his stuff and has written a short, powerful book on two subjects that confront all of us on a regular basis. Read it! This is a remarkable do-it-yourself book for learning to control your stress and manage your time. If like me you are in a stress producing line of work read it. After reading this book I will publicly urge you: do not procrastinate, READ it! It will certainly help if, like me, you have been struggling to control your stress. For every salesman and saleswoman a valuable helper in dealing with stress. As we go full speed towards Xmas sales 'madness' do download and read this book. It will help you cope with the seasons' sales stress which if uncontrolled will lower your stamina. Stress and anxiety are parts of our daily lives and for some of us further exacerbated by problems in managing our time. This is a brilliantly done job by an expert. Read it! 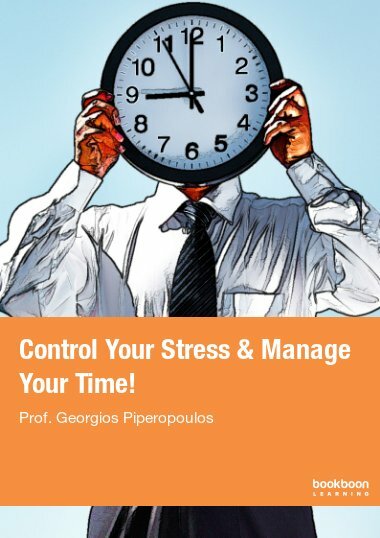 The author Georgio P. Piperopolous has written this book 'Contol Your Stress and Manage Your Time!' very intelligently defining stress, helping people how to control stress and manage our time efficiently and effectively according to the type of person we are. Thank you for your generous sharing of your psychological knowledge and writing. A powerful reminder, succinct and delineating, of what is to be and live as human and the recommendation that we need to belong to something bigger is the capstone of this amazing book. Professor Piperopoulos has produced a really helpful book on stress control and admirably combined it with time management wflhich relates well with the subject of stress. Well done! One of the best d.i.y. books on stress and time management and it is free! Remarkably well written, wonderfully helpful as well as informative. Surprisingly rich in information little book explaining with scientific authority the concept of stress and the strategies for controlling it. The section on time management is a great plus to the book's value. This is, in my opinion, a remarkable little book well supported by scientific stuff popularized in a very pleasant way. If you are stressed and have trouble managing your time, read it! 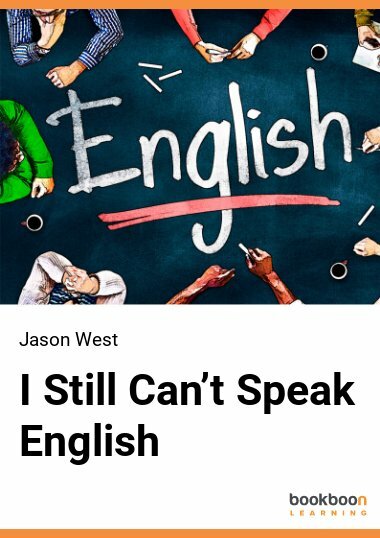 The book has a really catchy title combining two hot topics and the author has the know how and writing style to reward his readers. Well written, easy to understand, well documented and indeed helpful. A well documented help book in learning to control our stress and manage our time. Timely for all of us who have not been successful so far. A book worth every minute you spend in reading it. Indeed as it combines two related areas which can create prblematic conditions in daily affairs it becomes even more valuable. A real pleasure to read and surprisingly helpful book! If you have not managed to control your stress and your time, I do suggest you read it. You'll be rewarded. A book worth every minute invested, not spent, in reading it! The part relating to stress control is characterized by a science made understandable style. The section dealing with time management is underlined by a commendable poetic style. In short a nook well done! Not lengthy but it will take you a long distance away from your stress problems. I highly recommend it! I will not add another positive review! I will strongly urge you to read this book. It will reward you generously! An unusually well written and helpful book amidst a plethora of similar books on stress & time control! Pleasant reading, informative practical advice! Unexpectedly great help from this small group. My recommendation beyond cheetrs: read it! Great help in an entertaining style. I was impressed by the introduction of the second part of the book ion managing time. An impressive little book deserving lots of cheers! It kept my interest, it helped me understand why and how. Basically it reimbursed me for time invested! Millions of work days lost each year globally because of stress. This little but excellent book is great help! Convincingly informative and practically useful. A really valuable book! I recommend it! My assessment? Simply a gem! My recommendation? Read it! Useful and pleasant reading. Easy to follow suggestions. If you cannot control your stress find some time to download and read this excellent book. It does help! As an active entrepreneur and head of my small business of food catering I do know what stress means. After downloading and reading professor Piperopoulos small book I can propose to all my colleagues who run small businesses in this highly competitive and stressful environment to download and read it. Professor Piperopoulos has offered us an extremely valuable helpful hand. A commendable help to those unable to control their stress and manage their time and web are countless! Bull's eye! If these two themes ate troubling you read it and you will after in saying thank you professor! I have seen several books on stress control but this one I would recommend thumbs up as it hits the target and you get the bonus of time management. Simply an impressive little book on a current problem that plagues many of us and costs hundreds of millions of lost work hours. Please read it. It helps! Well written, easy to understand, great help! Small in size extra large in helping me learn to control my stress and creatively utilize my time. Read it! Invest a couple of hours to this drug free and alcohol free stress management method and you will be richly rewarded and added to it that it downloads free. To do justice to this little book I should write a few paragraphs but I do feel the message will be received if I simply urge you to download and read it! Easy to understand, easy to follow instructions, great little book! Stress is undeniably a global predicament in most professions and despite the IT help time is a problem in meeting the demands placed on us. Written in English this book provides help for everybody who will download it across the world. I was impressed by the brevity and practicality of this little book which is impressively helpful and didactic. Pleasant reading, excellent help and it is free! Very big help from a relatively small book. Read it! I was among the students who took the relevant course taught by Prof. Piperopoulos who had made the suggestion that our 'teacher' should write a book on these two subjects. My fellow students and I are happy and proud to see his book in English and hope it will help countless people across the Globe. Well done Professor! Small in size but uniquely pleasant in going through and powerful in its message on stress and time management. If you work and live in stress producing environments find the time to download an read this little book. It will reward you generously for your time! A really useful book if like me you are not able to control your stress effectively. It will surprise you pleasantly as a very useful book. As stress is extremely common in our times this little book can help you learn go control it. I will agree with the dozens of previous reviewers and simply say that this is a very useful book. One of the best Christmas present you can make to yourself. Download it, read it and start learning how to control your stress and joyfully manage your time! Download it and you agree with me in assessing this little powerful book as a great helper in dealing with stress and learning to properly and creatively use time. A book that really helps! With Holiday season heavily adding to your stress levels this book was a most welcome help. Easy to read and down to earth advice. And thanks to Bookboon its free! Impressively easy to read and helpful! It delivers what the title promises and much more! Here is a book that taught me some new things and verified some things I knew experientially. Useful! This is the second book by professor Piperopoulos which impressed me with its down to earth style and easy to follow suggestions. Download it and enjoy it! I have read a lot and tried some training sessions. Honestly this little book provided more help and insights than I expected! Easy to read and useful for those of us trying but not succeeding to properly handle time and control our anxiety levels. Read it, follow the suggestions and you will agree with my assessment of a good little book. Professor Piperopoulos and Bookboon have served well all of us gainfully employed in stress producing occupations. Well done! Sales is a stress producing and also rewarding job! This book really helps a lot! If you have tried almost everything but still struggle with stress read this book. It will not disappoint you! Gets to the point without needles scientific jargon in managing stress and a fascinating approach to managing time! Small in size but big in its usefulness. Really helps! Very big help from a relative little book. Worthwhile! Stress is part of our daily life but with holiday season coming on this little book is big help. Gravias, thank you, efkaristo professor! You helped me with your wonderful book! A great little book for stressed persons! Sales is an extremely demanding, stress producing professional activity worldwide. In Greece it has become even more stressful due to our financial woes. I, and I imagine many other readers across the Globe, are thankful to my well known compatriot professor Piperopoulos and Bookboon for writing this very helpful book. After reading another book by professor Piperopoulos I downloaded this impressively helpful book and I intend to apply its suggestions. A practical blessing to read and apply in your daily program. If you can adopt the holistic approach as offered by the author you win, thumbs up! A wonderfully helpful little book which rewards you in big fashion. Very interesting, very useful, very practical. A book that really helps all of us unable to properly manage our stress levels. A book written by someone who obviously knows well the Mediterranean temperaments and offers practical solutions in handling excessive stress. I think that more 'cool and calm' northerners will find it useful. Great help from a little book! I especially agree with the holistic approach in controlling stress. Delightful as reading material, fascinating as a D.I.Y. manual in learning to manage stress and anxiety and properly use your available time. The two hours of my flight time were enough to read and enjoy this little book but I am certain its impression will last for long time. Well done! If I said the book is a real life saver I would most certainly elicit some ironic smiles....So I will simply say that it provided me with appropriate mental health buffer zones in controlling my stress levels. I saw the announcement for this e-book in many Greek blogs, downloaded, read it and enjoyed it. It is a useful, drug-free aid to stressed people, gasping for time. Thank you professor Piperopoulos, thank you Bookboon. A book of pleasant reading and useful suggestions in dealing with stress and time! An impressive combination of good reading and useful directions in successfully dealing with two critical issues: stress and time. Impressively useful as how to do it book. Best time investment as the results justify the input. Easy to understand, easy to follow, useful to apply in everyday life. Even to the few colleagues in management who are managing to control their stress this excellent little book will help them reach perfection... For the rest of us still struggling it will prove to be most helpful. To describe this little book as interesting, useful and practical is incomplete unless one adds the term enlightening! Well done job on two major themes. Simply, download it, read it, follow the directions and bring serenity -not apathy - into your life and work. No more TGIFriday...Read this book, follow the suggestions and you will have joyful and productive days at work Monday through Friday! Real life saver or at least nerve saver! 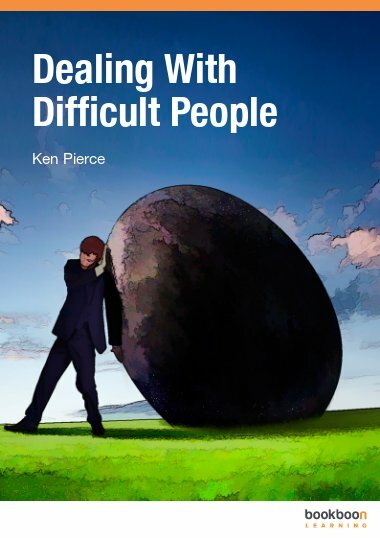 Brilliant little book on two very large problems most of us face! Great book! I should have read it while preparing my dissertation but I feel I will need it from now on as I enter the business world. Two daily realities in most professions nowadays. This little book is a valuable helper. The best great little book on these two subjects I have read in the last two years. I am not exaggerating. Read it and you will agree. Psychological theory and therapy made easy to grasp and follow. I enjoyed it thoroughly. Easy reading, easy to follow directions. Great help! Read it, follow the simple directions and you will agree with my assessment that this is a big small book. Will minimize your stress and anxiety and maximize your available time framework. Simply said, a really useful book. Read it! A greatly helpful and free hand in pulling out those of us buried under stress and desperately seeking more time! It won't make you a psychologist but will definitely help you understand the psychology of anxiety and stress. Another useful book by professor Piperopoulos. It explains the mysteries of stress and anxiety for those of us not related to the mental health field. It also presents the elusive concept of time in a poetic and yet down to earth handling. I enjoyed professor Piperopoulos book on school management and I honestly appreciated this little book on managing stress and time. Two almost daily encountered challenges. Simple and useful. I would place this book on top of the list of relevant books I have read for two reasons: it is easy to read and has easy to follow instructions AND it innovates as it discusses stress and time! Most professions may be stressful at times but sales seems to be stress-producing more often than other activities. Professor Piperopoulos and Bookboon are providing their readers with plenty of practical help. Very useful, refreshingly practical, easy to follow. I have read several other books on stress but this one as it combines two related subjects and is pleasant to read and easy to follow can be very helpful. Simply said a very useful book! No mindbogglingly concepts, no scientific incomprehensible jargon. A book that simply and unpretentiously delivers its promise! Easy to read, easy to apply suggestions. The classic approach is to treat each one of the two subjects independently but professor Piperopoulos appropriately and skillfully has combined them in a very useful book. When stressed times slip through your fingers as water would. When running short of time you will be stressed! Pleasant reading! Two global challenges, too much stress and too little time approached with a globally valid mix of western and eastern philosophies, strategies, and techniques. Well done! The author has managed to combine scientific rigor wuth poetic disposition delivering an easy to read and follow book. Creatively realistic approach to a real problematic condition for many of us. Easy to follow techniques.. Useful whatever managent level you are in. As the author reminds us stress free humans are only those no longer among us : retired or Resting in Peace. I first went quickly through this booklet aiming to get a bird's eye view of its content. Then I focused on the professor's suggestions and special procedures for learning to control my stress. You can apply your strategy if it differs from mine but I am certain that you will benefit as I did. Enjoy! To characterize this booklet as helpful or useful is too pedestrian. I would recommend it as "must read" to those of us who live and work in stressful settings. Reading professor Piperopoulos' books is a pleasant experience and this little book with its fresh treatment of the debilitating effects of stress and the taxing experience of lack of time is a rewarding experience. I am not unreal stating that ours is a stressful world. The stress we undergo engaging in the sales areas are most of the time extreme. This little booklet is an oasis in the midst of the stress Sahara! Well done. Management entails stress on evey level but being in middle management level I feel especially stressed as those below plead for "favors and...understanding"while those above demand that "extra something". This book is a welcome and fruitful addition to everything else I have read. Having read several books on these two challenging and contemporary subjects I feel somewhat qualified to state that I liked this book for its brevity, down to earth style and easy to follow instructions. If you live and function in a stress producing setting please download it. It is useful. The proverbial "small is beautiful" can be successfully applied to this book. 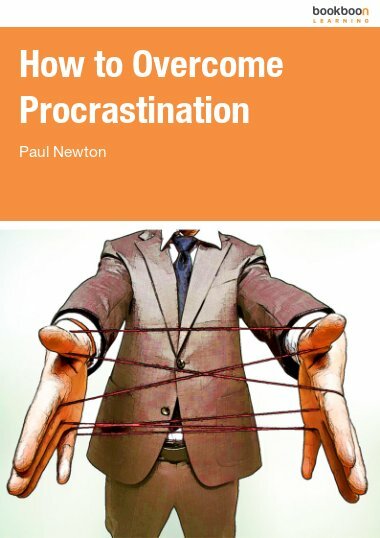 Surely there is an abundance of books dealing with stress and time management but professor Piperopoulos and Bookboon have provided us with a fresh and useful book. Well done. Impressive work! Small in the number of pages but usefully long in its helpful manner of applying stress reduction strategy and techniques. Equally useful in time management suggestions. Enjoyed and helped reading it. Useful, practical, enlightening! After reading it I would recommend it without hesitations AND its free! Easy to read, well structured helpful suggestions, practical to follow directions. Interesting presentation of the time management section. Practical, easy to understand, useful especially when exam times and paper submission deadlines are imminent. There is a myth that stress is a problem affecting northern Europeans and not us living in the south. In reality this book is useful to me and other fellow students originating from Spain and Italy. As a postgraduate student i was helped in managing my time. Well written, innovative in its approach to both subjects, enriched with down to earth suggestions. Read it and your time will be richly rewarded. A book useful to most of us as stress is a condition that most of us experience and time a commodity most of us cannot properly manage. Download it, read it and you will agree with me as I claim it very useful. As an academic and a practitioner in sales management I have personal experience of stressful situations. I confess that I have known professor Piperopoulos and I have suggested that he should produce such a book. I am thankful to him and bookboon for publishing this book. I strongly recommend it for my students and my associates. It is easy to read and very helpful. After a dozen years in the banking industry and half a dozen years in tourism I have a lot to say about both stress/anxiety an time pressures. This little book is a welcome answer to a lot of relevant questions. Read it and you will be as thankful to Professor Piperopoulos and to Bookboon as I am. Being successfully active in the tourist industry I know first hand what stress means and how distressing is often time the lack of time!! Professor Piperopoulos and Bookboon has given me a valuable resource which I happily recommend. Students do feel stress, especially at exam periods amd they realize that they always are behind time. But stress and time management are rwo serious problems for those of us working as managers. This little book is a practical, useable source of valuable help. A welcome addition to the bibliography concerning stress and time management. The author's choice to combine the two issues in a relatively short book is a difficult task, well done. I recommend it! In our business, on a worldwide basis, stress is the name of the game and lack of time, follows it. Professor Piperopoulos has given us a very useful management tool! Informative, instructive, easily read and practical. A useful little book for our over stressed times. Good reward for the time investment. Stress is not a 'privilege' of Europe and America! So this short booklet can be very helpful to all of us in the rest of the world. Here is a brief but excellent help for those of us feeling squeezed between job demands and lack of time. Small book but after all expensive goods come in small packages. Must read. This well-written book is a valuable guide to a stressless life. Thanks to Professor Piperopoulos we can achieve a better living using easy techniques. I would highly recommend it to everyone. This is small in size but very large in its usefulness practical and academically sound book. Learned a lot and enjoyed it. Passed it on to friends who will also enjoy reading it and use its techniques. The book provides valuable assistance not only to all students and researchers but also to anyone who has the intention to go further regarding stress and how to cope with it in our everyday life. We can also find useful proposals for achieving a better living. In this context, we are grateful to the author for his outstanding propositions. Written in a friendly, down-to-earth, easy to read style, easily understood by the lay person. Gives a practical list of ways to handle stress in your life. There are two parts between the prolegomena and epilegomena. The first part exhibits the author's ability to transform complex scientific concepts and data into easy to read and comprehend prose. The anxiety and stress control techniques are valuable. The second part is indeed an innovative, almost poetic rendition of the elusive concept of time. Great reading in a small book. 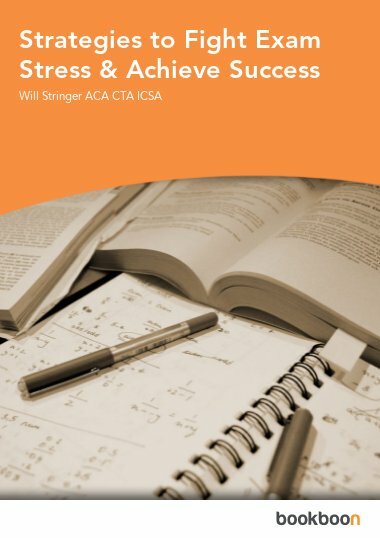 An excellent combination between academic knowledge and practitioner’s experience, very well written, useful for everyone! Highly recommended reading! Congratulations to Professor George Piperopoulos! we live in a World full of stress & anxiety. For most of us time is a precious commodity. This book is an excelent help in teaching us how to control stress & understand the concept of time. A must read little useful book. A very useful and easy to read book written by a professor who also has many experiences from his practice. As we live in a world full of demands and little time, this book is a sociological GPS. When academic expertise combined with the practitioners' experiences stand behind a book it becomes a useful, enjoyable MUST read item. Since stress controlling is a very common problem in the modern and 'complex' society in which we live, and time management is crucial to our every day life, this book as it is written, is a useful and helpful tool. In a world filled with stress and anxiety and for most of us who lack time this little book offers viable information and practical help. Pleasant and useful reading. I feel grateful each time I come through with one of Professor Piperopoulos’ books. Not surprisingly, his new book Control Your Stress & Manage Your Time retains this feeling. In an amazing way he orchestrates all the stress related theoretical background with real life examples that everyone can comprehend. Getting to finish the first part of the book I felt that I had just received some very useful stress reduction techniques and the time spent to read it was worth of it. Surprisingly, Professor Piperopoulos hadn’t said his last word. Like pulling an ace of his sleeve he just gone well and above with Part Two. It would be extremely difficult to find such an easy to read text combining literature, ancient philosophers, technocratic data and practical tips such as “setting goals” and “things to do”. And for the end, he just corroborates his long academic experience and esteem by presenting the “Philosophic View of Time”. A must read book not only for its practicality but also for letting everyone to think deeper if the time spent till now has been exploited in the best possible way. This book is a primer about stress, stress-related disease, the mechanisms of coping with stress and ways to manage our time effectively. How is it that our bodies can adapt to some stressful emergencies, while other ones make us respond with the “fight or flight” response? Why are some of us especially vulnerable to stress-related diseases and what does that have to do with our personalities? Medication, once considered the treatment of choice, is losing favor as more and more sufferers complain of unpleasant side effects and its quick-fix nature. Now, thanks to fresh research and insights into brain anatomy, effective, practical strategies have emerged allowing us to manage day-to-day anxiety on our own without medication. Addressing physical, emotional, and behavioral symptoms, Dr. Georgios P. Piperopoulos, a leading academic-practitioner, provides specific stress reduction and time management strategies. Breathing techniques to biofeedback and autogenic training are included. This is a great book for those who don’t want to see a therapist or those who need some extra encouragement and practice to overcome their stress and anxiety and gives specific instructions on how to overcome stress and manage our time effectively. Dear professor answering to your epilogue reading your book was truly a useful and rewarding experience. Excellent book. Georgios Piperopoulos has managed to take a very upsetting condition, the stress, that affects millions of people, and break it down into terms that are less intimidating. He added then techniques to further control stress by improving time management and created a book that many people will find extremely useful. Finally a very clear, solid advice to deal with stress and time management in fun, short, easy-to-read format. I particularly like the manner in which the book deals with the two topics taking into consideration a variety of factors and presenting inputs we all need to know. It has well organized chapters and greatly defined paragraph structure. Stress is a daily routine in my line of work as it is, I can imagine, with most of us involved in middle and upper management. And time is an elusive reality. I was pleasantly surprised by the way professor Piperopoulos deals with Stress and Time and I would highly recommend this book to associates and friends. I have had the pleasure of attending along with my subordinates a special seminar on Stress and Time management lead by Professor Piperopoulos. The whole team found it useful and rewarding and we had wished to have his presentation in the form of a book. Obviously he has heard our call and I must say that I am impressed by this book which I would recommend to other associates and friends as a 'must read'. Excellent work by a seasoned academic-practitioner. Tucked directly in the core of the problem facing today many Senior Executives with the unbridled competition that prevails in the global environment.